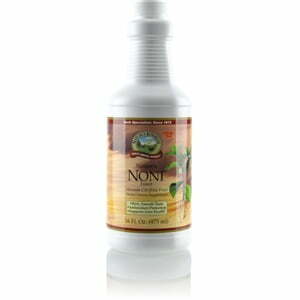 Nature’s Sunshine Nature’s Noni®, Juice, blends phytonutrients and antioxidants. It is made from Morinda citrifolia fruit juice. 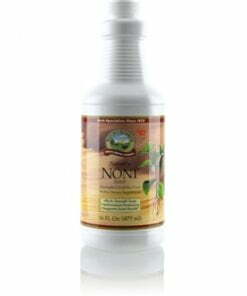 The formula protects the body from free radical damage and supports the skin and the structural system. Nature’s Non also encourages a sense of well-being. 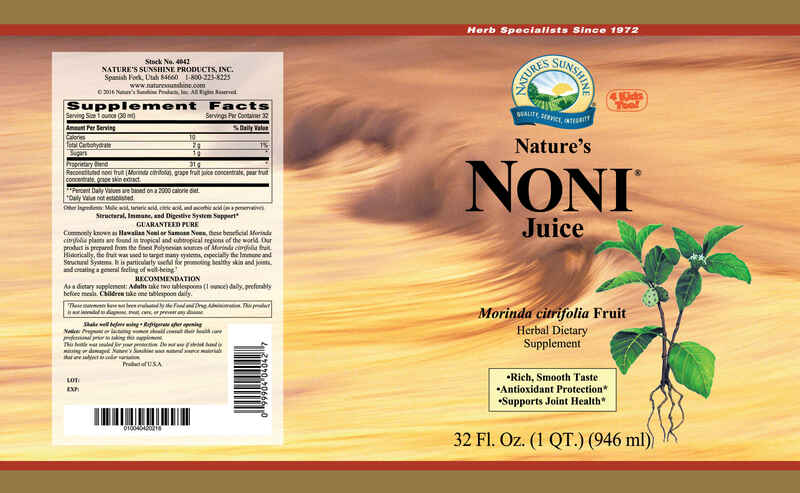 Nature’s Noni includes Morinda citrifolia fruit juice mixed with natural flavors to offer a tropical taste. The formula is preservative free. Instructions: As a dietary supplement: Adults take two tablespoons (1 ounce) daily, preferably before meals. Children take one tablespoon daily.